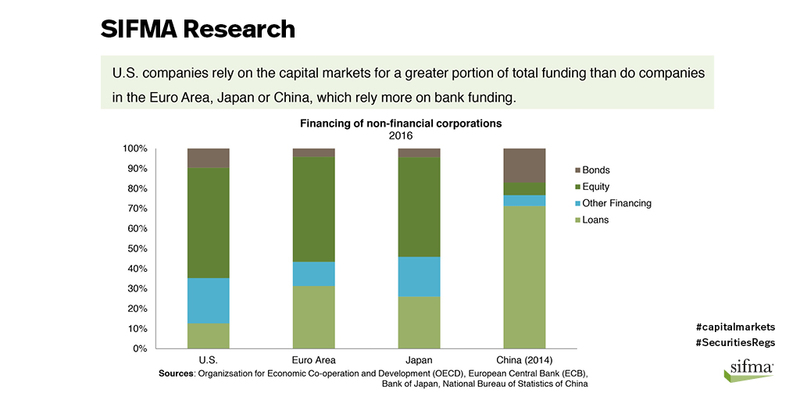 America’s capital markets are the deepest and most liquid in the world. But, we’ve seen a troubling stagnation and sometimes decline in the number of public companies at a time when our economic recovery remains subpar. Is there a correlation? Our capital markets – envied the world over – are a critical source of financing for both domestic and foreign businesses and governments, particularly small and mid-sized businesses. Unfortunately, regulatory burdens are unduly hampering capital formation for these entities generally and may also be reducing small investors’ access to investment opportunities. “In 1996, we had 812 IPOs and small cap companies made up almost 50% of the offerings. In 2016, we had 99 IPOs and small caps made up 13%. We’re doing something wrong,” said Warren Stephens, Chairman, President and Chief Executive Officer of Stephens Inc. at SIFMA’s 2017 Annual Meeting, The Capital Markets Conference. “Clients are concluding that the public market source of capital is unattractive relative to M&A or private equity,” said Stifel Chairman and CEO Ronald J. Kruszewski. That is particularly true for small- to mid-sized businesses: Stifel estimates it costs those companies 75 bps more than a large one to raise capital in the debt markets today. Rattling off a list of regulations including Reg NMS, the Volcker Rule, Sarbanes Oxley and MiFID II, Kruszewski said we need to look at all the rules we have put in place that dissuade companies from accessing the public capital markets and ultimately decrease investment opportunities for the average investor. “I don’t think there is any doubt,” said Stephens. “As well-meaning as we have tried to be in our regulations, they have stifled growth, they have stifled capital formation.” To complicate matters, the foundation of this increasingly complex regulatory framework dates back 80 years, put in place at a time when trading took place on floors with paper order tickets and telephones. Investor participation is another dimension of concern. Changes in regulation, including implementation of a best interest standard, might exacerbate the trend toward more client assets being managed in investment advisory accounts. Since new issuances are available through brokerage accounts, many retail investors may lose access to these investment opportunities and capital formation will suffer as a result. “The benefits of capital formation in my view are accruing to a smaller and smaller group of people,” said Stephens. “The retail IPO of years ago doesn’t exist. Individual investors really can’t participate in them.” Sources of capital for businesses are being limited in turn: private equity, family offices, venture capital and accredited investors. “There’s no question the economy is doing well at the moment yet everyone feels it’s being held back a little bit,” said David Solomon, President and Co-Chief Operating Officer Goldman Sachs & Co.
We have a real, tangible opportunity to turn a weak economic recovery into a strong one. SIFMA believes Congress and the SEC should reassess existing regulations to allow more businesses to readily access U.S. capital markets while maintaining important protections for investors. Small and mid-sized businesses, in particular, are a great source of economic growth and job creation and financial regulation should be better tailored to support their access to capital. So that regulators can be nimble in their response to market developments, regulations should be flexible and principle-based, and come with sunset or frequent look-back requirements to ensure that they do not grow stale. Several Jumpstart Our Business Startups Act (JOBS Act) accommodations that are currently available for Emerging Growth Companies (EGCs) should be extended to all issuers of public securities. Reform and revise certain existing regulations to reduce the burdens on issuers accessing public markets, such as amending the “smaller reporting company” definition and expanding the Rule 139 safe harbors on continuing research coverage. Promote private investment and secondary market trading in restricted securities by amending the definition of accredited investor and revising certain provisions of Reg D.
Promote greater liquidity in secondary market public resales by making several amendments to Rule 144. Ensure prudential regulations strike the appropriate balance between promoting financial stability and liquid secondary markets. For more on SIFMA’s positions on enhancing capital formation, see our letter to the U.S. Senate on Legislative Proposals to Facilitate Capital Formation, Economic Growth and Job Creation (April 2017) and our letter to FINRA on Regulatory Notice 17-14: Rules Impacting Capital Formation (June 2017). 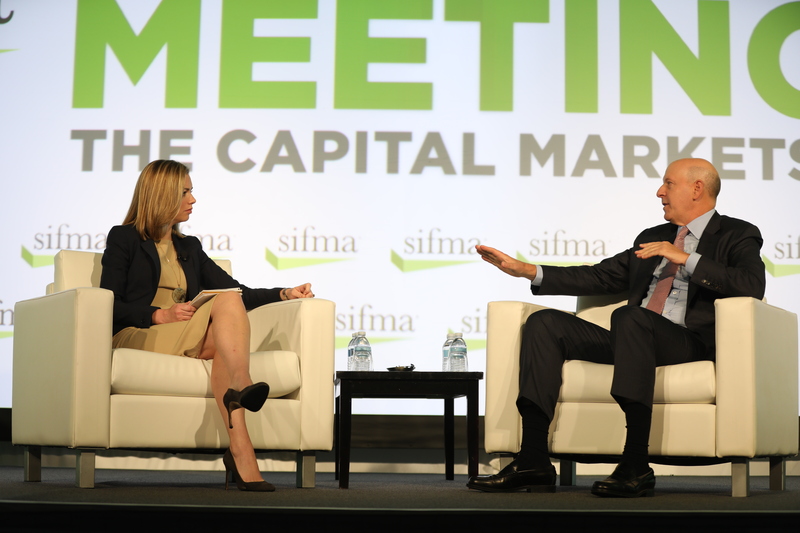 Sean Davy is Managing Director, Corporate Credit Markets Division for SIFMA. Randy Snook is Executive Vice President, Business Policies & Practices for SIFMA.